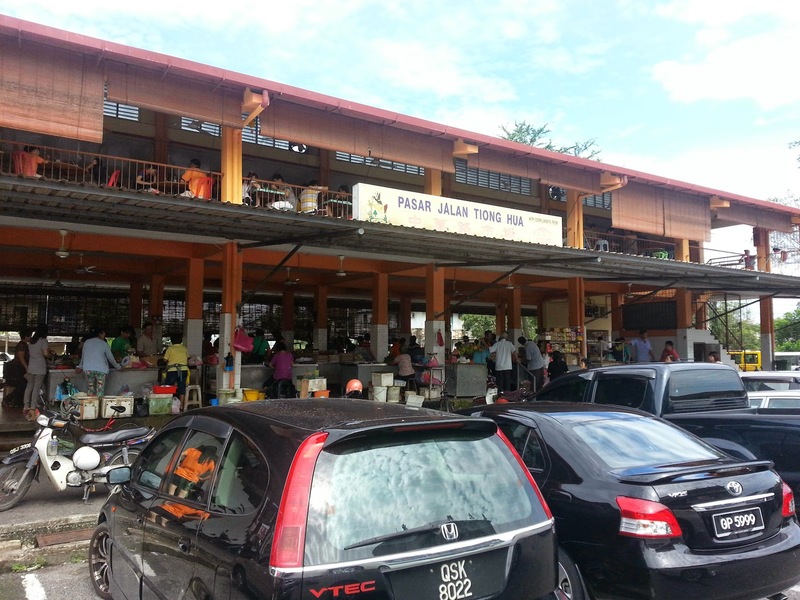 This is the 3rd stop of my Sibu Food Trip - Tiong Hua Road Market(Pasar Jalan Tiong Hua). The ground floor is vegetables stalls and first floor hawker food stalls. 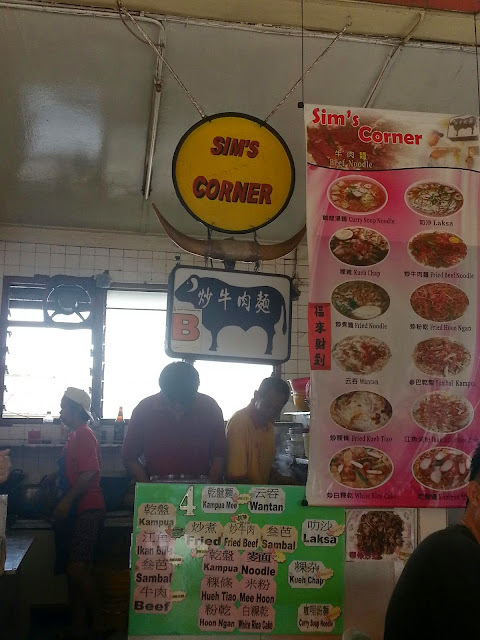 My sister said she heard that the beef noodles here tasted not bad. 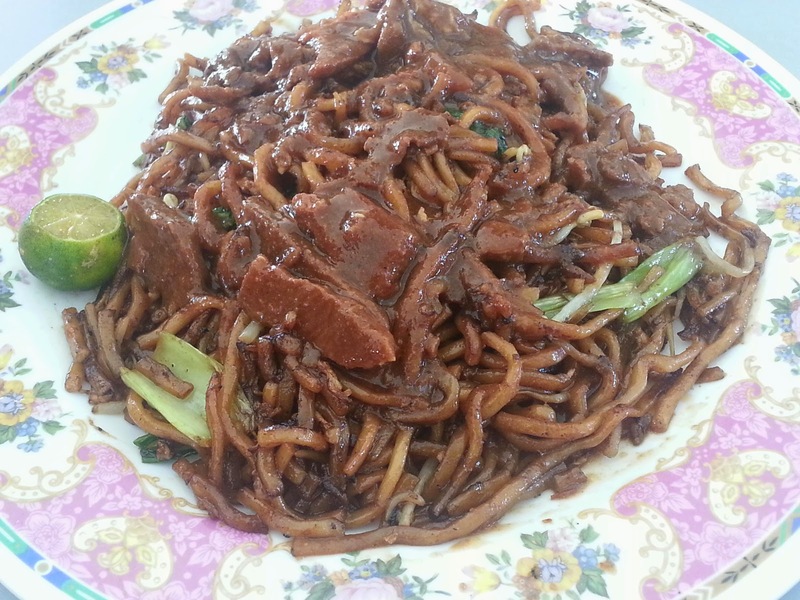 She and my mum had beef beehun before but doesn't tasted so good so this time we got beef noodles(RM3.50). I initially thought it is the beef soup noodles soup but I saw it stated fried. The noodles served was out of my sunrise. The beef was not stir fried with the noodles. They stir fried the noodles and cooked beef with sauce just added on top of the fried noodles. This is the version here. Taste wise I felt the noodles is good but not the beef.